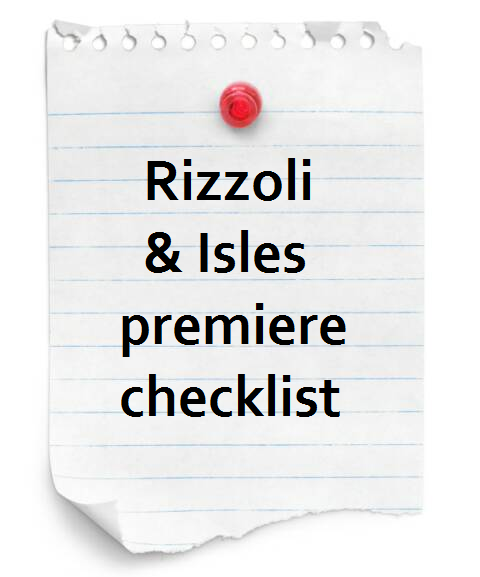 Absolutely Angie Harmon: "Rizzoli & Isles" season 6B premiere checklist! 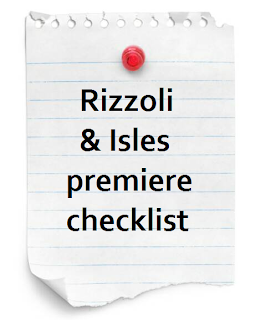 "Rizzoli & Isles" season 6B premiere checklist! 1) To find out what you're getting into before you start watching, check out our "Rizzoli & Isles" season 6 spoiler post. 2) R&I executive producer Jan Nash and the show's writing and production team will be live-tweeting tonight, along with Sasha Alexander and director Norman Buckley! Idara Victor will also be in attendance "for part of it." 3) Are you a fan of R&I on Facebook, and do you follow the R&I Tumblr? If not, what are you waiting for?! 4) #RizzoliandIsles already trended on Twitter earlier - who's ready to make it trend again? Check out our tips for trending! 5) R&I season 7 production has started! To keep up with the cast and crew, follow our Twitter list and check out our season 7 tidbits archive!